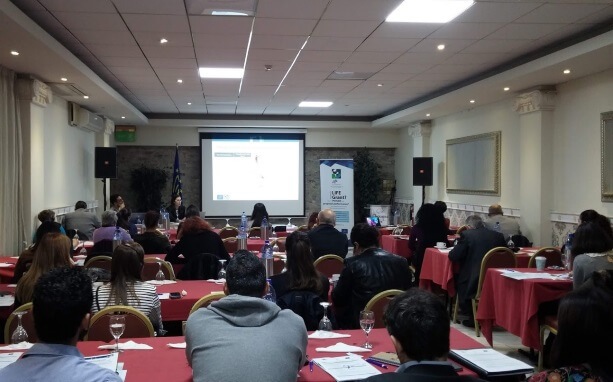 Our first LIFE Info Day for 2019 took place in Nicosia on April 4th 2019. Special thanks to our guest speakers: Anita Fassio (EASME), Nicos Kasinis (Game and Fauna Service), Pambos Panayiotou (Atlantis Consulting Cyprus Ltd), Dafni Mavrommati (Information Portal for Funding Programmes) and Stavros Kambanellas (Enterprise Europe Network Cyprus) for their amazing insights! To read more about this Info Day and view the presentations follow this link. To join our next Info Days in Ayia Napa (April 15th) or Limassol (April 18th) click here and book your seat now!